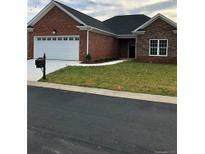 Find Stanley, NC New Homes for sale. View Photos, Maps and MLS Data Now! Summer Ridge - Only a few lots left in the neighborhood. No HOA! ! MLS#3498988. HighScapes Properties, LLC. Summer Ridge - **Comp purposes only MLS#3498978. HighScapes Properties, LLC. 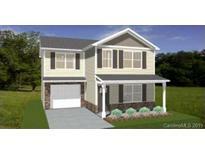 This is a great opportunity to own a gorgeous new 4 Bedroom, 3 Bath, (plus bonus room) home only 20 +/- miles from Uptown Charlotte and a short drive into up-and-coming Denver. MLS#3496649. Helen Adams Realty. Treetops At Cowans Ford - High efficiency split level HVAC systems includes Honeywell Wifi Smart Phone Thermostats with Geofencing Capability. MLS#3495144. Helen Adams Realty. Treetops At Cowans Ford - Extensive Craftsman Millwork with Five Panel Interior Doors throughout. https://my.matterport.com/show/?m=EjSkwcc5AQD&mls=1 MLS#3481980. Helen Adams Realty. The Gates - MLS#3490245. Niblock Development Corp. The Gates - Your dining room is conveniently located at the front of the home. MLS#3490068. Niblock Development Corp. The Villas at Creekwalk - There is a finished home in the community to walk through. MLS#3488808. ElleBee Realty and Associates. Bennington Woods - Convenient to downtown Stanley. Listing also includes parcel # 300201 MLS#3487398. Coldwell Banker MECA Realty. The Gates - MLS#3485787. Niblock Development Corp. The Gates - MLS#3485808. Niblock Development Corp. The Villas at Creekwalk - There is a finished home in the community to walk through. MLS#3486084. ElleBee Realty and Associates. The Gates - MLS#3485553. Niblock Development Corp. Sellers are very motivated to move this home! MLS#3479575. Coldwell Banker Residential Brokerage. Leave the hustle and bustle of the city behind because your escape is a short drive to the countryside, Highgrove is waiting. ONLY 9 LOTS AVAILABLE. MLS#3464804. Carolinas Realty. Leave the hustle and bustle of the city behind because your escape is a short drive to the countryside, Highgrove is waiting. ONLY 9 LOTS AVAILABLE. MLS#3464688. Carolinas Realty. Conveniently located between Huntersville and Denver. Close to shopping and Restaurants. MLS#3462889. EXP REALTY LLC. Conveniently located between Huntersville and Denver. Close to restaurants and shopping. MLS#3464081. EXP REALTY LLC. Home includes granite, hardwood floors, tile bathrooms and much more! MLS#3463916. Southern Homes of the Carolinas. Home warranty currently protecting property can be purchased at closing. USDA financing welcome! MLS#3447351. Don Anthony Realty, LLC. Ballentrae - relax and enjoy the convenience and lesser hassle of living in the Denver area, don't forget the boat storage lot close by. MLS#3448389. Ranson Real Estate Inc.
Bennington Woods - Buyer can add brick for additional cost. MLS#3442457. Coldwell Banker MECA Realty. Bennington Woods - Buyer can add brick for additional cost. MLS#3442411. Coldwell Banker MECA Realty. Bennington Woods - Buyer can add brick for additional cost. MLS#3440635. Coldwell Banker MECA Realty. Grocery, restaurants, and shopping close by! MLS#3436142. Mountain Island Lake Realty LLC. These statistics are updated daily from the Carolina Multiple Listing Services, Inc. For further analysis or to obtain statistics not shown below please call Highgarden Real Estate at 704-705-8993 and speak with one of our real estate consultants.